A sleek, contemporary engagement ring crafted from solid Platinum, thoughtfully crafted to showcase this mesmerising 1ct Princess cut Diamond and to maximise the dazzling dramatic sparkles contained within this spectacular Diamond. 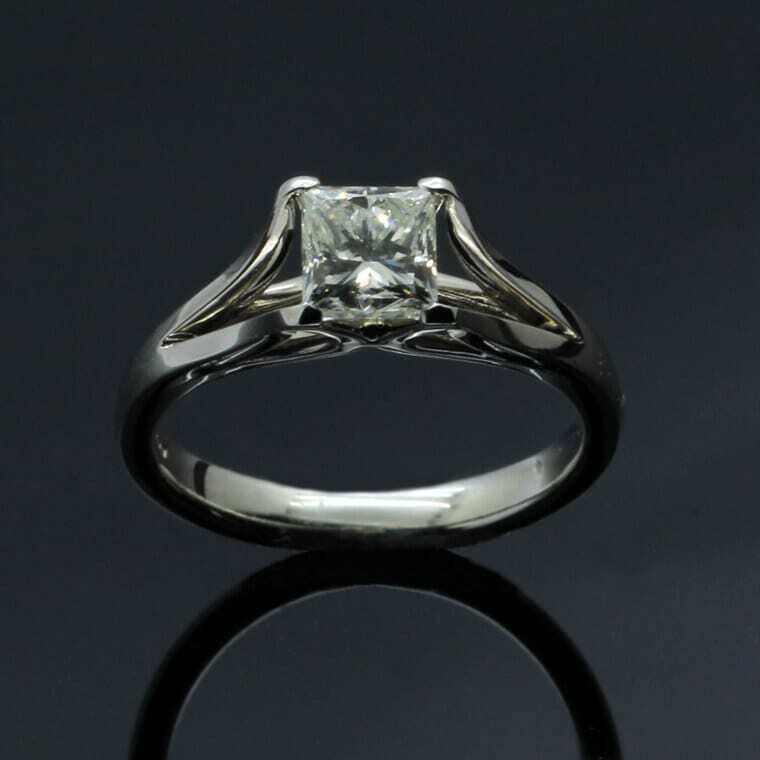 This beautiful engagement ring has been designed, handcrafted and lovingly finished by our master Goldsmith Julian Stephens, this very special engagement ring includes Julian’s exclusive Maker’s Mark and is Hallmarked. 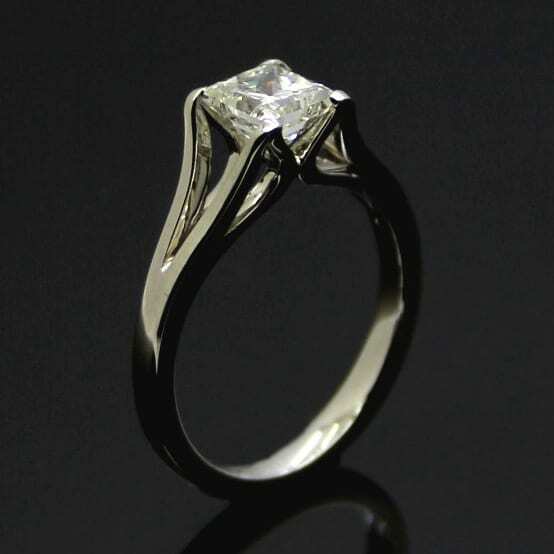 Created to reflect a modern design aesthetic this unique ring boasts clean, minimal lines, created in harmony with the beautiful facets of this stunning diamond.